Okay, so I’m a little late to the party. Technically about 15 years late. 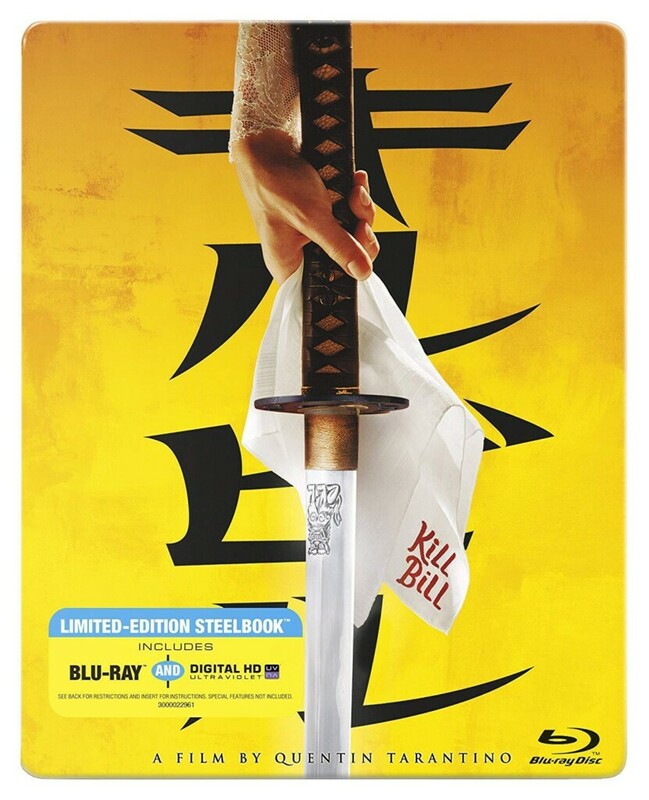 But I finally sat down and watched Quentin Tarantino’s blood-soaked revenge thriller Kill Bill Vol. 1 and Vol. 2. And I could kill the younger me for not watching it sooner. I have nothing against Tarantino and in fact really dug Pulp Fiction, Reservoir Dogs and even Inglourious Basterds. I haven’t seen too many of his other films, Kill Bill included, simply because… well, I just never got around to them. That’s really the long and short of it. Kill Bill is something I always did want to see though and knew absolutely nothing about it except it starred Uma Thurman as The Bride, some crazy sword-wielding assassin who wore a yellow and black jumpsuit. Honestly, that’s all I knew about the movie. I’d seen the action figures years ago and they looked fun. The movie looked fun. Again, I just never got around to watching it. My wife had seen parts of it over the years, which I found surprising considering how ultra violent I had heard the movie was. So maybe I was waiting for the right time for the two of us to watch it together. But finding time for two parents to watch even just one movie, let alone a two-parter, is tough enough. Life just gets in the way. And then the other day it hit me. I was exercising on the treadmill, scanning through Netflix for my next show to watch. There it was in all its bright yellow glory. Kill Bill Vol. 1. I figured I’d watch the first 30 minutes or so and see if I was interested. I didn’t last 30 seconds. Nope. I was instantly sucked into the violent, revenge-filled world that Bill created. Thirty minutes flew by and before I knew it, I was 45 minutes in. I ended up watching the rest of the first movie later that night and then went searching on Netflix for the coveted Vol. 2. Thankfully, they had it. I have no idea how moviegoers waited six months between volumes when it originally aired in theaters. To me, Kill Bill is really just one long, fantastic four-hour film full of love, hate, revenge, and a killer soundtrack. Yeah, I was so obsessed with this movie I even hopped on iTunes and snagged the Kill Bill Vol. 1 soundtrack. Nancy Sinatra uttering the words “Bang Bang” instantly takes me back to the opening scene of the movie. The rest of the soundtrack is one crazy mix of ’70s funk, Japanese Samurai instrumentals and modern Asian pop. I don’t know if it’s the acting, the over-the-top ridiculous fight scenes, the dialogue or perhaps Tarantino’s fascinating storytelling style of bouncing back and forth in time to help slowly piece together the full puzzle. Whatever it is, the combination works perfectly. It took me 15 years to finally watch Kill Bill Vol. 1 and Vol. 2. You better believe it’s not even going to take me 15 days to watch it all over again. You know something funny – I am a ridiculous Tarantino fan. LOVE his movies! True Romance is my favorite movie of all-time. But until this year, I have never watched Kill Bill. Not sure why. It just never appealed to me. But then I watched. And watched. And I have to admit, it is up there on the list of favorites. So crazy!